Retiring gear has always been a really un-fun (yet prominent) question. I went climbing this weekend with a few friends, none of which I had really climbed with outside before. Lo and behold, we all had different ways of cleaning, doing belay checks, and ideas of when gear should be retired. Somehow, two of us ended up dropping gear over the weekend. Myself, and a newbie climber. My friend (who shall remain nameless, unless he wants to own up to the ‘butterfingers’ nick-name he has now acquired) dropped his ATC from atop an 80 ft pitch while cleaning. Of course, the piece landed on the ground w/o hitting anything to slow it down. Everyone I was climbing with seemed to agree that the ATC must be retired and never used again. The next day, I dropped an Offset Cam about 15 ft. and it landed on the muddy ground. For some reason, now we all bickered whether or not to retire the piece. Does it make a difference how far a piece falls? What it lands on? 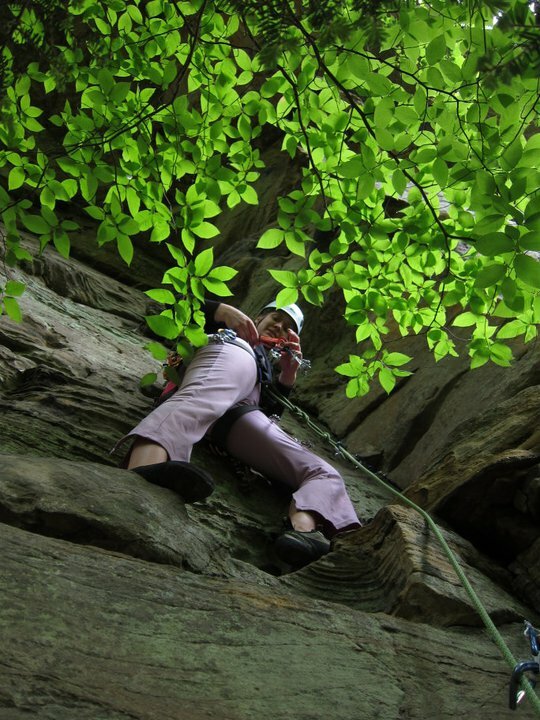 Can micro-fractures develop in aluminum climbing gear? Should you retire it regardless? I’ve been trying to do the research and it seems as though the aluminum that manufactures like Petzl and Black Diamond use is actually too soft to develop micro-fractures at all. If fractures do develop, they are visible to the eye. Basically if there’s something wrong with the piece, your gonna see it. My take on the situation: if it looks good, climb on. If you don’t trust it, stick it on your Christmas tree next winter. Just before I climbed a little higher and aimed that cam for my friends head. This entry was posted in Miscellaneous and tagged climb, dropped gear, fatigue, micro-fracture, retire gear. Bookmark the permalink. 4 Responses to Should you retire dropped climbing gear? I retire biners that bounce off hard rock from +20 feet. I’ve never retired a cam from a fall like the one you described. If you doubt your cam, place it, back it up with a non loaded secondary piece, and jump off and see what happens. If if holds, I’d use it. Oh yea, I played around with jumping on the cam. I don’t think the piece need to be retired. I just find it interesting that so many people have different ideas on when something should be retired or is safe. There is alot of research on when to retire carabiners, but not on active pro and/or atc’s. 15 feet! That’s nothing! A friend dropped a cam 300′ and he still uses it. As you mentioned, unless you can see signs of damage, everything is fine. The ATC you dropped is likely fine as well. Of course, if you have any doubts, it’s probably best to spend the $30 to replace it and keep your peace of mind intact.